A Public Service Health Club Health Insurance Company review leads to IDEA Public Service Health and Fitness Association. 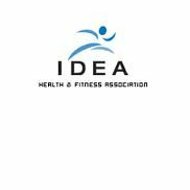 IDEA provides insurance to companies that provide health club services to the public such as personal trainers, group fitness instructors, yoga instructors, and more. If you are looking for personal health insurance for yourself, enter your zip code in the free box now to receive rates and quotes from top insurance companies. Health clubs are considered a high-risk business because of the potential problems that can take place and injuries that can occur. Specific insurance is needed to cover both the club itself and the instructors that teach there from liability. IDEA provides a variety of products specifically to those who own health clubs. Injuries at health clubs, fitness facilities, and workout facilities are common. Whenever anyone is working out, using machinery, or learning to use their bodies in a new way, injuries can easily occur. Websites such as WebMD provide details on how to be safe while exercising. Health clubs post signs warning people about risks as well as instructions on how to use equipment. Many times injuries are the fault of the individual because they are using the equipment incorrectly or straining themselves. However, there are some occasions where the instructor has done something incorrectly or faulty equipment is found. These areas are more prone to injuries because they are generally unsupervised. Even though “participate at your own risk” signs may be on the walls, if the health club is at fault, a lawsuit can take place. Most personal trainers carry their own insurance either through the agency they work for or on their own. However, when a health club or other health facility contracts them, they also need to be covered by that facility. Personal trainers can be held legally responsibility, if an injury occurs. For this, IDEA provides Personal Trainer Insurance. Group Fitness Insurance protects those who lead group exercise. The policy covers professional liability, negligence, and trip-and-fall claims. Yoga Instructor Insurance covers individual instructors whether they are instructing at a facility or in a home. Pilates Instructors Coverage provides the same coverage as a group instructor but with versatility as to where the instruction takes place. General Health Club Insurance protects all events, other than classes going on in the facility. The policy is for both those who own facilities and those who rent facilities. The most basic of coverage is simple liability. Having liability coverage at the very least, gives clients peace of mind that you are covered and taking necessary steps to protect them should they need it. The General Health Club Insurance Policy provides basic coverage of $1 million per occurrence and $3 as an aggregate limit. Professional liability covers bodily injuries that occur while personal injury liability protects against lawsuits. Sexual abuse liability is in the amount of $100,000 per occurrence with product liability in the amount of $1 million. In addition to the products available specifically for health clubs, IDEA also offers coverage for services that may be offered at a health club or health facility. Martial Arts Insurance is one of the products offered. Many health clubs are now offering martial arts and instructors need to be protected. Dance Instructor Insurance from IDEA is comprehensive and is one of the most affordable products available. It covers dance instructor liability for personal injury. More and more health clubs are also employing life coaches. A life coach is someone who provides overall guidance for life choices to individuals. Life Coach Insurance from IDEA also provides personal liability coverage. The last type of coverage provide through IDEA is Reiki Insurance. Reiki is a Japanese practice of reducing stress by the laying on of hands. It is similar to massage in some ways with yoga type of stretches as well. Reiki Instructors need to be protected from personal liability and sexual liability as well. The IDEA policy provides both types of protection.